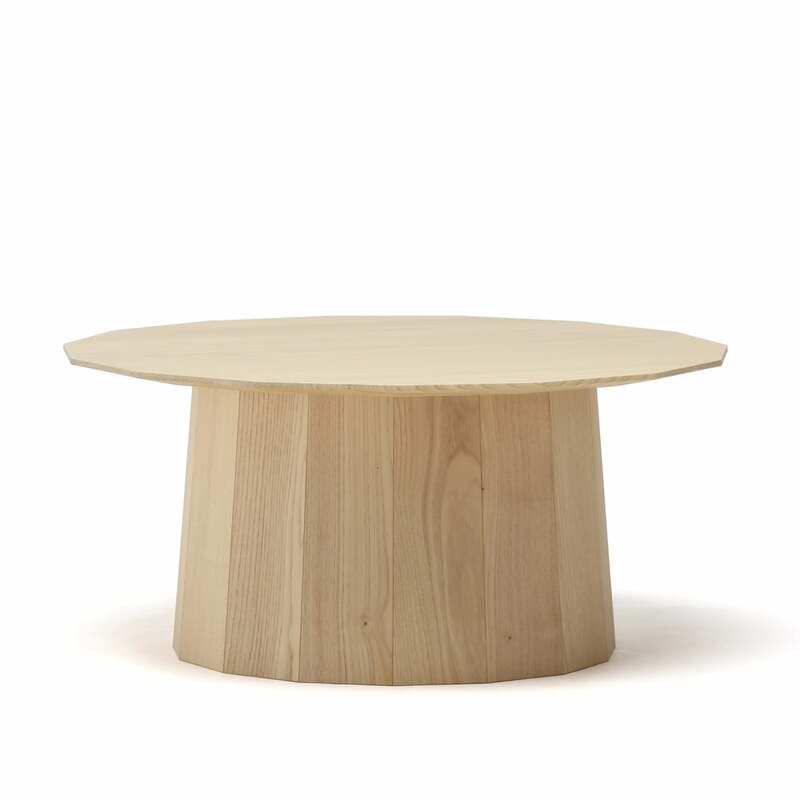 The round coffee table, designed by Scholten and Baijings, is the natural counterpart of the series Colour Wood. This way, the lovers of a more nature-oriented design get their money’s worth. Inspired by the traditional Japanese Yatoi Sanetsugi technique, the foot of the table is made of 15 individual wooden slats, which, formed around a rack framework, make the base for the tabletop. The table made of chestnut wood is available with a height of 392 cm. If looking for a more colourful variant, you can always go back to the Color Wood series. More sizes of the tables are available on request. Individual image of the Karimoku New Standard - Colour Wood Plain. As plain counterpart of the colourful tables from the Colour Wood series does the Plain variant come in natural chestnut wood. 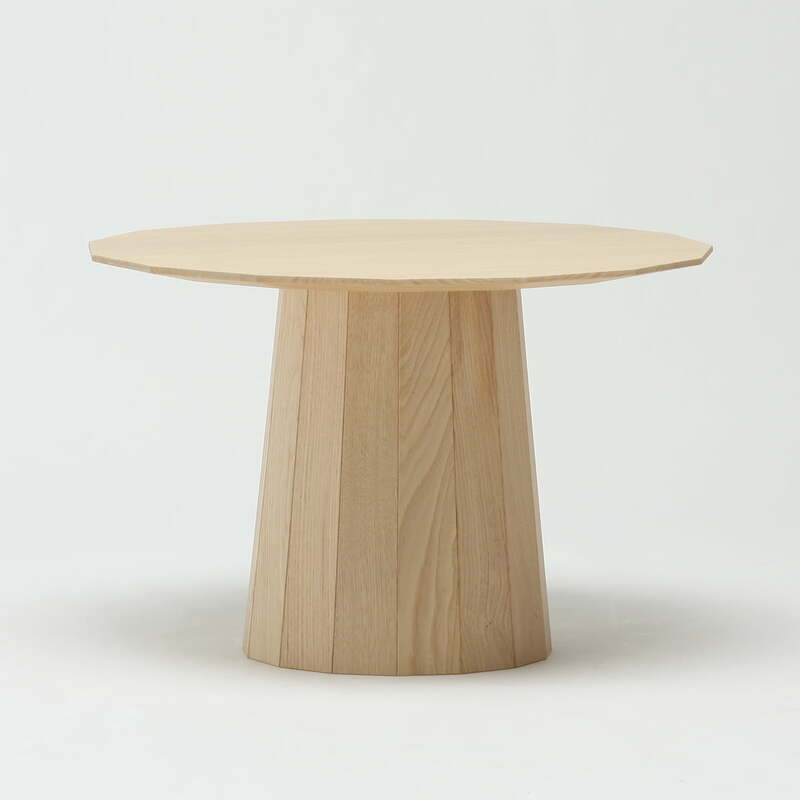 Individual image of the Colour Wood Plain by the brand Karimoku New Standard. 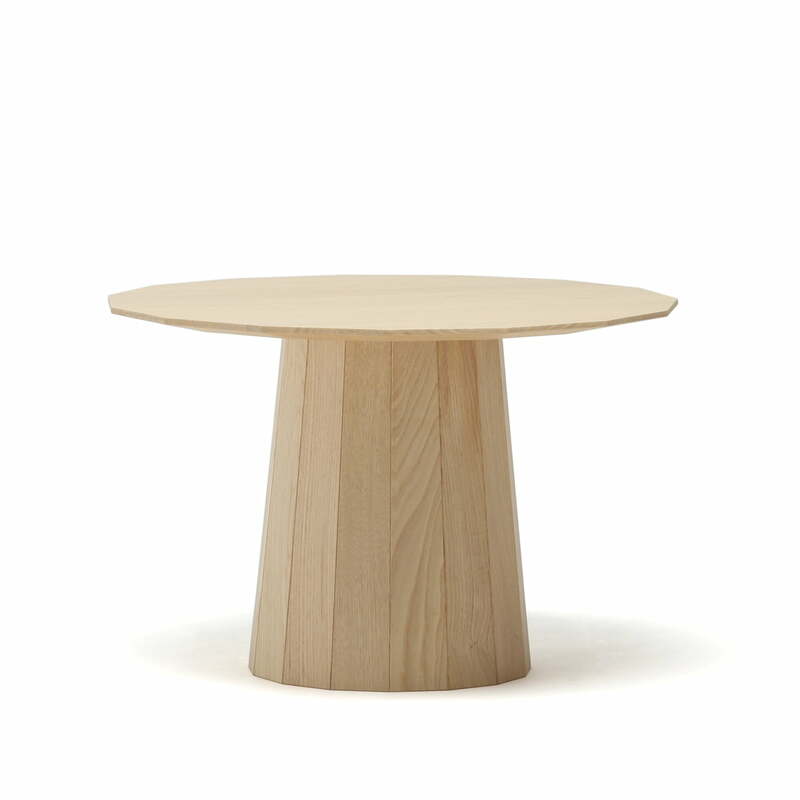 The shapely table in Japanese design fits perfectly into any furnishing style. 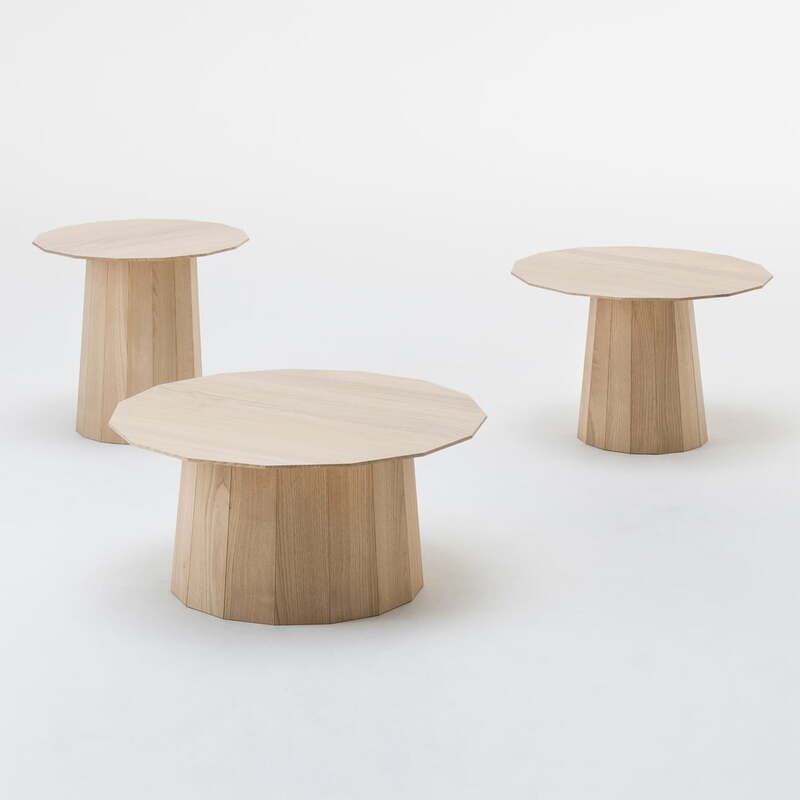 The round coffee table, designed by Scholton and Baijings for Karimoku New Standard is the untreated, natural equivalent to the series Color Wood by Karimoku New Standard. 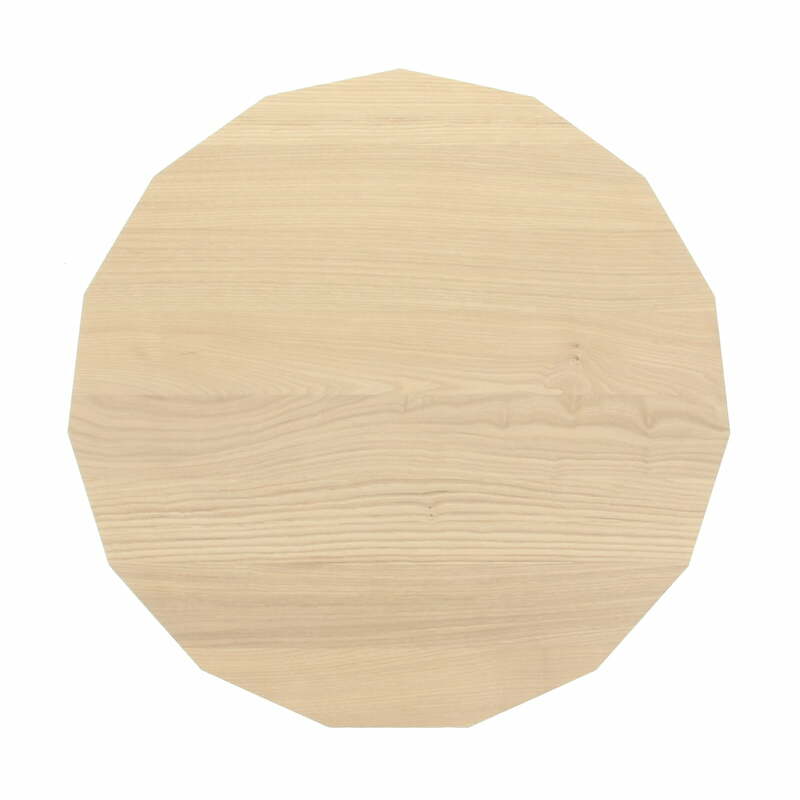 Karimoku New Standard - Colour Wood Plain, natural colour, mediumReady for a Japanese tea ceremony? 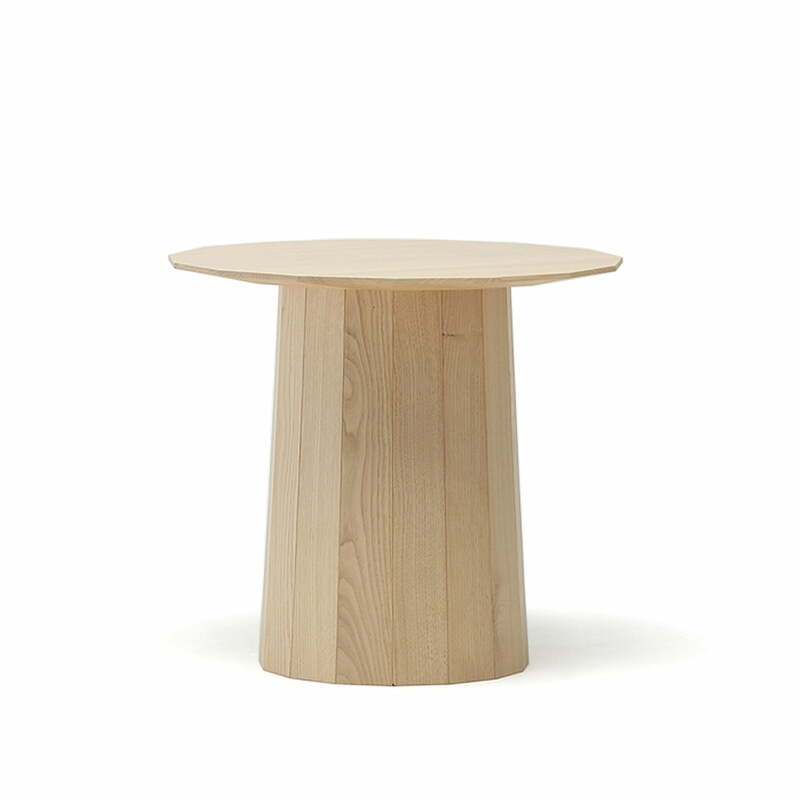 With the Colour Wood Plain side table by Karimoku New Standard you will. But it's not only tea you will be able to enjoy at this table. Individual image of the Karimoku New Standard - Colour Wood Plain. One coffee table is made of 15 individual wooden slats. Simple, natural and timeless. The Colour Wood Plain by Karimoku New Standard is available in different sizes. It is therefore able to serve as coffe table, side table or even bed side table. 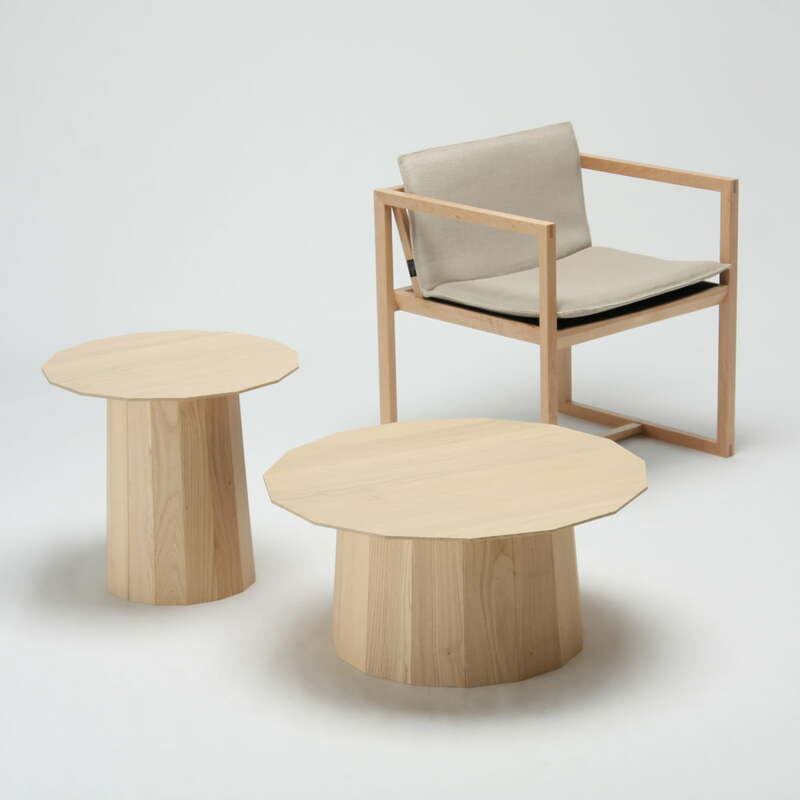 The Colour Wood Plain by Karimoku New Standard in various sizes combined results together with the Ren Chair in a modern, timeless picture for the living area. 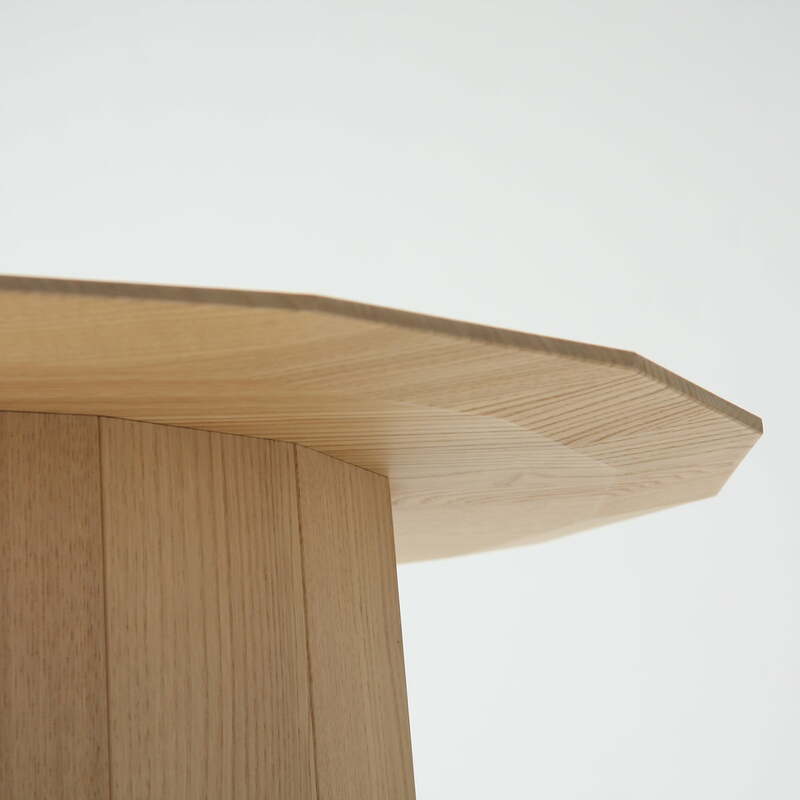 Inspired by the traditional Japanese Yatoi- Sanetsugi technique is the table's base composed of 15 single wooden slats around a frame and which form the support for the table top. 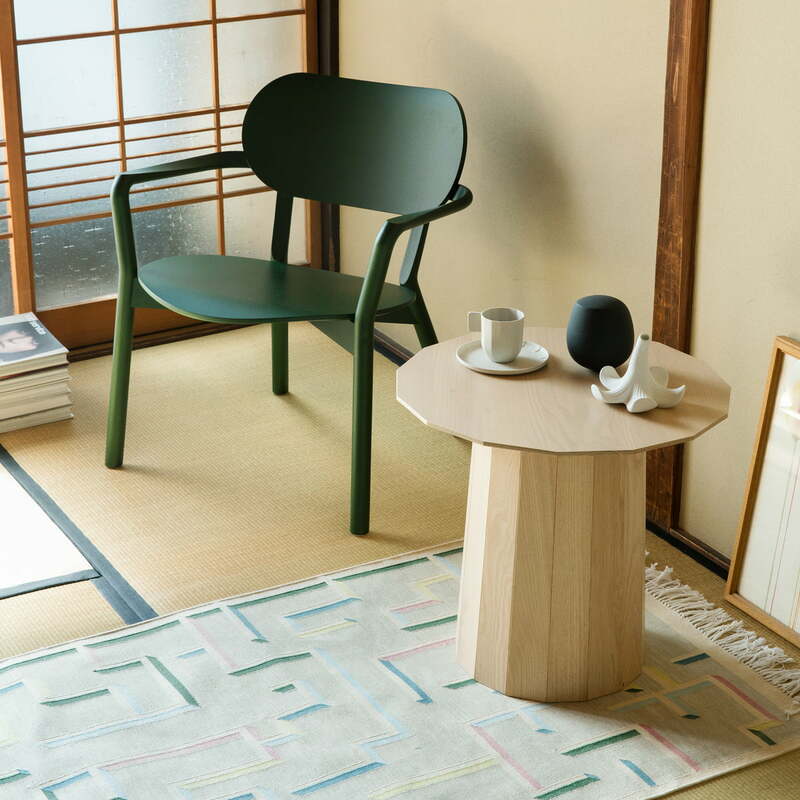 The Colour Wood Plain by Karimoku New Standard is perfectly complemented by the Castor Low Chair in moss green. Together they create a modern seating area. 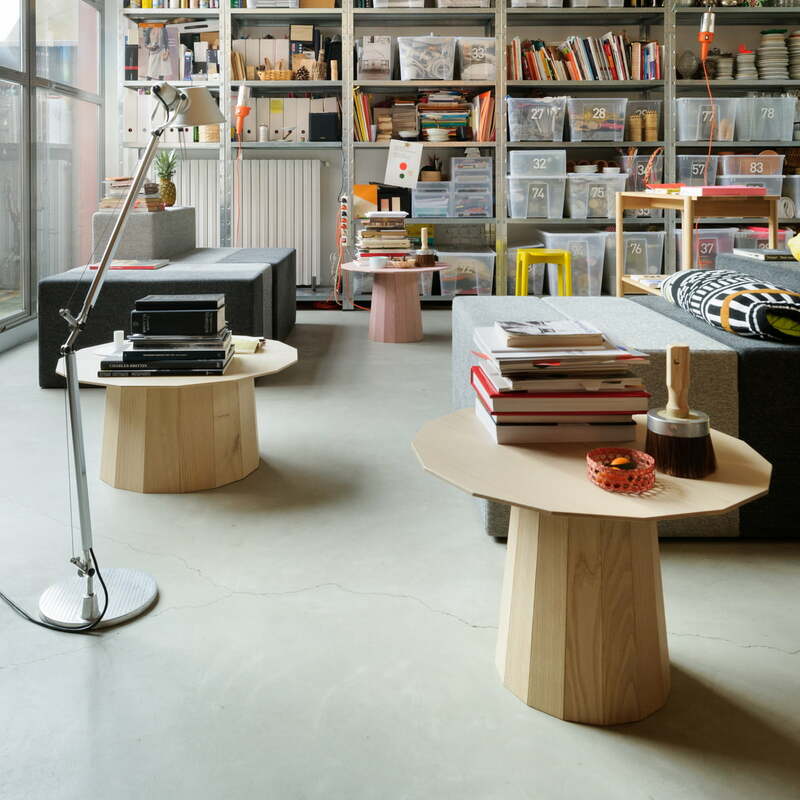 The round coffee table, designed by Scholton and Baijings for Karimoku New Standard is the untreated, natural equivalent to the series Color Wood by Karimoku New Standard. To enjoy by those, who prefer the natural wood.